Looking for a one-stop solution for your website development, hosting, and maintenance needs? Since 1996, our Sarasota, FL based company has specialized in providing our customers with custom and dedicated approaches for their website, e-commerce, programming, and hosting needs. Our talented design and development staff will partner with you throughout the design process to assure your satisfaction and your project’s success. We provide all your needs throughout the website life cycle. You will only need to deal with one firm for the entire design, hosting and maintenance process. Ask about our satisfaction guarantee. A professionally-designed website is the most effective way to attract customers in today’s internet-based world. Most people do online research before they do business with a company. You need an easy-to-use website that clearly shows who you are and what products/services you offer. Our websites are custom-built for you based on your needs. Investing in your website is investing in your company’s future. We offer complete web development solutions, including databases, custom content management solutions and complex site navigation. In partnership with you, we determine your needs. Then our programmers will turn that into reality. Glimmer uses the latest technology to maximize functionality and minimize your cost. Glimmer is your best resource for web design, development, and hosting. If your business needs a website that handles online purchases, Glimmer has the answer for you! We will design and build an easy-to-use custom solution that will attract customers and increase your sales. You can update online store products and back-end items such as prices and shipping options through a content management system, or we will be happy to do the entire process for you. In today’s Internet-driven world, if you don’t have a mobile version of your website to accommodate inquiries from tablets and smart phones, you risk losing sales. We create “responsive design” websites that responds to the size of the browser to provide the best possible user experience across desktops, tablets and smart phones. In addition to our design services, we provide some of the fastest and most reliable hosting you can find. Many of our standard features are only available at extra cost with other hosts. Check the link below for details. We provide hands-free full maintenance or you can have full control of your site. The launch of your website is not the end of the process. From time to time you will want to make changes. Our hosting includes a generous amount of FREE maintenance. With us, a needed change is only an email or call away. Most changes are completed within 24 hours. Sometimes you need a website that allows you to make the changes. We understand. We are able to design custom templates for sites based on WordPress, eCommerce, WooCommerce, and many other CMS based solutions. In addition, we are able to provide custom programming for these systems to insure that your exact needs are met. Sometimes there just isn’t a ready-made solution for what you want to do on the web. Again Glimmer can help. 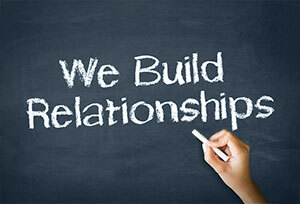 We will partner with you to determine the best solution and then create custom programs to meet those requriments. Glimmer was founded in 1996 and is based in Sarasota, Florida. Our experienced and dedicated staff give our clients the individual attention they need to succeed in the current competitive environment. Unlike the large firms, our focus is on individual attention. We believe in the uniqueness of each enterprise. Whether big or small, our sites are custom designed to enhance your image and provide the desired functions while being practical and affordable. Our goal is to provide the best possible service. Our staff is always accessible to you by email, phone, or in person. Ask about our satisfaction guarantee.